LAHORE (Web Desk) – It was revealed by a movie analyst named Komal Nahta that the two big Khans of Bollywood, Shah Rukh Khan and Salman Khan, will finally be seen in a movie together. According to media reports, Shah Rukh Khan has been asked to play a cameo role in Salman Khan s upcoming starrer movie ‘Tubelight’. It has been quite long ago that fans witnessed the both stars together. It was way back in 2007 when we saw Salman Khan dance on a multi-star song in movie Om Shanti Om alongside Shah Rukh Khan but the wait is finally over. 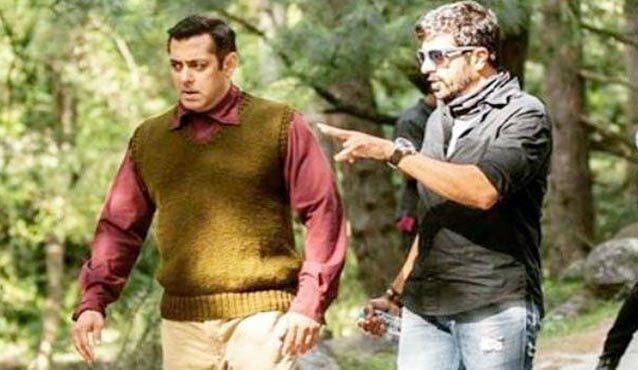 The film Tubelight is directed by the Bajrangi Bhaijan maestro Kabir Khan. Salman Khan was highly appreciated for his acting in the movie and it was a big hit. Salman Khan plays lead role in Tubelight also where he falls in love with a girl from China. It will be released in June, 2017. Shah Rukh and Salman duo was a major hit back in 1995 when both starred in ‘Karan Arjun’ after which they worked together in Kuch Kuch Hota Hai in 1998.